Special Price for a Limited Time, 20% Off! 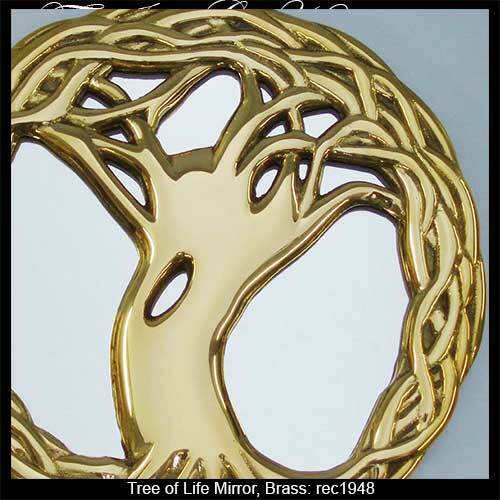 Tree of Life mirror is a brass design surrounded with a Celtic knot motif. Its branches reach in search of learning and knowledge. and its deep roots represent our ancient Celtic heritage. 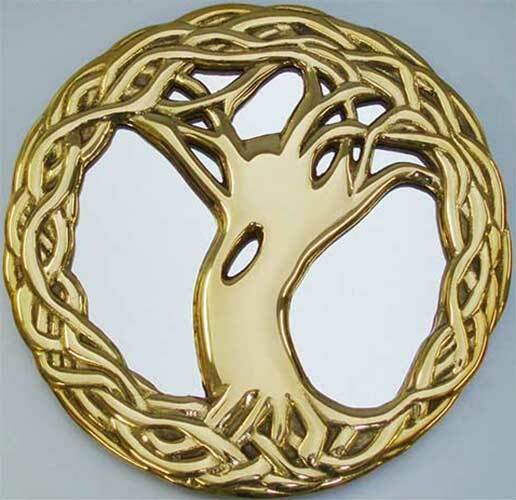 This brass Tree of Life mirror features detailed Celtic knot-work and measures 8 1/2" in diameter. The Tree of Life wall mirror includes an attached chain for hanging and it is made in the United States. This Irish mirror is gift boxed with Celtic knot and Tree of Life history cards complements of The Irish Gift House.